This webinar was aired on July 25, 2018. The recorded version is already available. 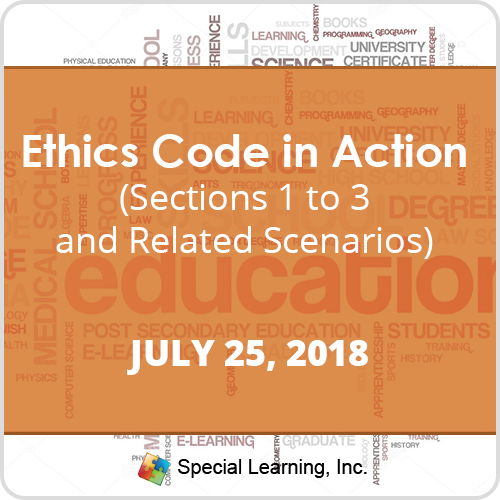 In this webinar, we explored in detail code sections 1.0, 2.0 and 3.0 of the Ethics Code. In Code 1.0, we took an in-depth look at the meanings behind Boundaries of Competence, Integrity and Conflicts of Interest, three common areas of ethical conflict. In Code 2.0, we explored a Behavior Analyst’s responsibility to clients, which include, but are not limited to, Confidentiality, Treatment Efficacy, Financial Arrangements, Accuracy in Billing and Discontinuation of Services. In Code 3.0, we will explore Assessment, consent regarding Assessment and Consent regarding Client Records. Participants will learn to distinguish between “ethics” and “morals” and how it pertains to individual practitioners, service providers and organizations that provide oversight of the profession. Participants will understand the purpose and meaning behind Sections 1.0, 2.0 and 3.0 of the BACB Ethics Code. Participants will learn about the history and consequence of the massive Medicaid fraud perpetuated by behavioral care agencies in South Florida. Participants will understand the actions and resulting consequences of 4 behavioral care agencies under sanctions by Medicaid for billing fraud and other related billing issues. Participants will understand the consequences of failing to report egregious ethics violations and its resulting impact on the client, professionals and the field of behavior analysis. Participants will understand the process of reporting violations to the BACB and their internal investigation process. Participants will understand the differences in code violation impact for BCBAs and those organizations that employ or contract with BCBAs. Each purchase corresponds to 1 user license/access. Only the user assigned to a subscription will be able to receive the recorded version and obtain CEUs from the webinars. Access to the recorded version is valid for 1 month. 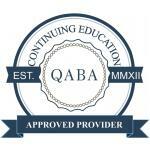 MANDATORY DISCLAIMER: The Behavior Analyst Certification Board (“BACB”) does not sponsor, approve or endorse Special Learning, the materials, information or sessions identified herein.